Computers are like cars: they need regular maintenance and performance checks. Without these checks, PCs can accumulate errors that cause frustrating slowdowns, crashes and even system failures. 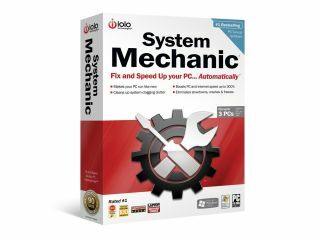 System Mechanic is a best-selling PC tune-up software suite that's used by over 20 million users worldwide - and we've got 35 copies to give away! It contains a powerful set of tools that automatically checks, diagnoses and repairs your entire system by fixing errors and fragmentation as well as cleaning out clutter. As a result, your PC operates smoothly and reliably, with Internet speeds up to 300 per cent faster. Using its proprietary ActiveCare technology, System Mechanic can also pro-actively monitor your system, running needed repairs automatically – when your computer is on but not in use – to keep your PC at peak performance levels. The automated tools mean that users of all levels can enjoy using a fast and reliable PC with no computer expertise required.